The UK first developed a National Strategy for Sustainable Development (NSDS) in 1994, after the 1992 Rio UN Conference on Environment and Development and the adoption of Agenda 21. The UK published revisions of the NSDS in 1999 and 2005. In February 2011, the Coalition Government published "Mainstreaming sustainable development - The Government’s vision and what this means in practice”. It includes a package of measures to deliver it through the Green Economy, action to tackle climate change, protecting and enhancing the natural environment, fairness and improving wellbeing, and building a Big Society. Ministers have agreed an approach for mainstreaming sustainable development which in broad terms consists of providing Ministerial leadership and oversight, leading by example, embedding sustainable development into policy, and transparent and independent scrutiny. The first Sustainable Development strategy for Northern Ireland was published in 2006. The Executive published a revised strategy called “Everyone's Involved” in 2010. The associated Implementation Plan, “Focus on the Future”, was published in 2011. In September 2011 the Scottish Government published its Government Economic Strategy which reaffirms its commitment to delivering increased sustainable economic growth, through Scotland’s transition to a low carbon economy. “Starting to Live Differently”, the Welsh Sustainable Development Action Plan was adopted in 2004 by the National Assembly for Wales. This was replaced in 2009, by “One Wales: One Planet”, the Sustainable Development Scheme of the Welsh Assembly Government. The Welsh Government is currently planning to legislate that sustainable development will be the central organising principle of the Welsh Government and all public bodies in Wales. It will also create a statutory Sustainable Development Body. A public consultation on initial proposals ended in July 2012. The Welsh Government plan to introduce a Bill into the National Assembly for Wales in Autumn 2013. The UK Government’s vision (2011) covers all three parts of sustainable development – the economy, society and the environment. "Mainstreaming Sustainable Development: One year in" published by Defra in March 2012, includes a series of progress reviews on sustainable development mainstreaming by the UK Government. It looks at the four areas agreed by Ministers for mainstreaming sustainable development: providing Ministerial leadership and oversight, leading by example, and transparent and independent scrutiny; as well as the opportunity presented by the London 2012 Olympic and Paralympic Games for learning and inspiration. Since November 2011 all Government Departments’ Business Plans have been published on the “Transparency” section of the Prime Minister’s website. They are assessed in relation to sustainable development principles, and the Minister for Government Policy (based in The Cabinet Office) then holds departments to account through a quarterly business plan review process. The UK Government and the devolved governments of Northern Ireland, Scotland and Wales, share approaches and best practice in sustainable development. The devolved governments are working in parallel towards sustainability in their areas, but each government has its own approach, based on their priorities. “Everyone’s Involved” is the Sustainable Development Strategy for Northern Ireland. It is a high-level enabling document, designed to provide a framework to support action by individuals, groups and organisations in progressing the sustainability agenda. The associated Implementation Plan, “Focus on the Future”, sets out the respective contributions of Government Departments, local government, and of the private and voluntary sectors to the achievement of the objectives of the Strategy. In addition, the Executive has made sustainable development a cross-cutting principle of its Programme for Government, stating, “sustainability policy is driven by intergenerational equity – securing a positive quality of life for present and future generations”. To realise this, and to make sustainable development a hallmark of 21st Century government here, we will work together, across and beyond organisational and social boundaries to promote and encourage its recognition and acceptance. Sustainable development is integral to the Scottish Government’s overall purpose – to focus government and public services on creating a more successful country, with opportunities for all of Scotland to flourish, through increasing sustainable economic growth. Sustainable development is a core principle within the founding statute of the Welsh Assembly Government. This duty requires Welsh Ministers to make a scheme setting out how they propose, in the exercise of their functions, to promote sustainable development. The latest Sustainable Development Scheme, “One Wales: One Planet”, confirms that sustainable development will be the central organising principle of the Welsh Assembly Government. The Welsh Assembly Government will also encourage and enable others to embrace sustainable development as their central organising principle through its Sustainable Development Charter. There are important links between the UK Government’s strategic position on sustainable development and activities at the sub-national level: the public sector, communities, civil society and social enterprises. LA21 initiatives are regarded by the Government as mainly local activities. The public sector has a significant role to play in ensuring decisions are taken to deliver long term value for money, by taking into account social, economic and environmental factors. The UK Government aims to lead by example by reducing the impact of its estate and purchasing sustainable goods and services. In 2010, the Prime Minister announced his commitment to ensure the ‘greenest government ever’ and reduce carbon emissions from Government departments by 10% in a year. Each Government department now publishes live data on its energy use and spending. Many local authorities and public bodies also have sustainable operations and procurement targets. The public sector can help to meet these commitments through its work practices and wider behaviour. Reducing the impact of the way government and the public sector operates is vital to delivering sustainable development: the decisions made on policies and programmes and their real world outcomes are significant. The UK is committed to reducing its carbon emissions by 80% by 2050 as well as ensuring that we are resilient to the effects of a changing climate: to achieve this all policies must take this into account through carbon reduction and adaptation plans. Climate change is just one of the symptoms of unsustainability and the Government is committed to safeguarding the wider environment, fairness and ensuring quality of life in all decisions. Defra is leading work across government to ensure that the value of natural and social capital can be factored into central government policy making, and has produced guidance and tools for policy makers in completing impact assessments and business cases to ensure sustainability is at the heart of decisions. Each public sector organisation will have different initiatives for reducing the impact of its buildings and operations. • Government Buying Standards provide guidance for government and public sector buyers to purchase sustainably. • Defra is developing buying standards for food procurement, taking account of the Department of Health’s experience of piloting the Healthier Food Mark. • The National Sustainable Public Procurement Programme (NSPPP) seeks to make it clear to government employees that sustainable procurement is simply good procurement practice which can generate significant benefits, including: increased efficiency; reduction in carbon; cost savings. The programme explains public procurement and demonstrates how to apply sustainable procurement good practice throughout the purchasing cycle. During 2010-11 it was rolled out to local authorities, and piloted in the following sectors: higher and further education, National Health Service, central government and local authorities in Scotland. Energy efficiency: the CRC Energy Efficiency Scheme is a mandatory energy efficiency scheme aimed at improving energy efficiency and cutting emissions in large public and private sector organisations. The Energy Saving Trust provides guidance to the public sector on reducing energy consumption. Resource efficiency: possible initiatives include encouraging employees to switch off unused lights and appliances, and to “think before you print”. Sustainable travel: teleconferencing can reduce business travel and incentive schemes can encourage employees to use alternative forms of transport. Sustainable policy and decision making: Defra provides guidance to policy makers on sustainable development impact assessments. Citizens, communities and the voluntary and community sector are at the heart of the Government’s ambitions to create a Big Society and can play a key role in supporting people, particularly those who might struggle to find a voice, in finding better solutions to social problems. The Big Society is a key part of the Government’s sustainable development agenda, and can be defined as delivering change through decentralisation and localism, with a correspondingly reduced role for central government in terms of regulation, direct support or guidance. • Promoting social action: encouraging and enabling people from all walks of life to play a more active part in society, and promoting more volunteering and philanthropy. The Government is supporting communities to take a lead in improving local quality of life, including local environmental quality and access to services such as education, healthcare and transport. Defra engages with civil society at two levels: the policy-specific and the strategic. Most Defra policy teams have an active working relationship with the civil society organisations of most relevance to their specific area of work. Maintaining an effective relationship with civil society at the strategic level is a key component of Defra’s wider approach to stakeholder management. To facilitate high level engagement Defra has a Civil Society Advisory Board, which acts as the department’s strategic interface with civil society. The Board is classified as an Ad Hoc Advisory Board, accountable to Defra Ministers. It was established in May 2009 and its remit runs until March 2014. The Board has 16 members from a wide range of civil society organisations which cover the breadth of Defra’s agenda – currently including the natural environment, sustainable development, resource efficiency, farming, rural interests, community engagement and social enterprise. Board members are appointed by Ministers on the basis of their personal expertise and experience; they attend the Board in a personal capacity and do not formally represent their organisations. The Board’s provides advice to Defra Ministers and officials on: the most effective ways of engaging with civil society on Defra’s policies, their delivery, and the civil society implications of Defra’s operations. The main focus of the Board’s activity is a collaborative dialogue with Ministers and policy officials, to foster mutually improved understanding of how government and civil society can work together. The social enterprise sector are trading organisations which use the majority of their profits to fulfil their social (or environmental) purpose. To facilitate Defra’s strategic engagement with social enterprises we have established a Social Enterprise Strategic Partnership (SESP). Its membership comprises organisations including The Plunkett Foundation, Locality, Co-operatives UK, the Social Enterprise Coalition, and REalliance; and it is task-orientated and the relationship is contractual. The renewed EU Strategy for Sustainable Development (EU SDS) that was adopted in June 2006 foresees that Member States bi-annually report about how they address the priorities of the EU SDS. The UK has published its first national report on implementing the EU SDS in June 2007. The UK Government considers that good progress was made between 1994 (when the first UK NSDS was published) and 2010. But it was now necessary to move sustainable development beyond being considered as a separate, ‘green’ issue which is a priority for only a few government departments. Therefore, in February 2011, the Government published "Mainstreaming sustainable development - The Government’s vision and what this means in practice”. • The Environment Secretary will sit on the key domestic policy Cabinet committees, including the Economic Affairs Committee, to enforce the Government’s commitment to sustainability across policy making. • A Ministerial Steering Group will oversee delivery of new Commitments for Greening Government’s Operations and Procurement. • Reducing government’s waste generation, water use and carbon emissions. Waste will be cut by 25 per cent (approximately 74,000 tonnes) by the end of this parliament. Best practice water efficiency methods will be put in place across government, as well as a new stretching carbon reduction commitment which builds on the current 10 per cent agreed last year. • Ensuring the government buys more sustainable and efficient products and engages with its suppliers to understand and reduce the impacts of supply chains. • Defra will take the lead responsibility for reviewing departmental business plans in relation to sustainable development principles. The Minister for Government Policy (based in The Cabinet Office) will then hold departments to account through the quarterly business plan review process. • Developing real and measurable indicators to monitor sustainability across government and report results publicly. • Monitoring by the House of Commons Environment Audit Committee of sustainable operations performance data and reporting process, as well as assessing government’s overall performance and approach to embed sustainable development. • Real time reporting of information and statistics, rather than producing annual reports on sustainability. • The Business Plans of every Department and quarterly business reviews are published on the Prime Minister’s website at http://transparency.number10.gov.uk/. • Developing real and measurable indicators to monitor sustainability across government and report results publicly. A new set indicators will be published in 2013 (see below). • Monitoring by the House of Commons Environment Audit Committee (EAC) of sustainable operations performance data and reporting process, as well as assessing government’s overall performance and approach to embed sustainable development. The EAC has undertaken two inquiries into the Government’s mainstreaming sustainable development approach and policies during this current Parliament (see below). • Real time reporting of information and statistics, rather than producing annual reports on sustainability. Defra has published a new set of sustainable development indicators (SDIs) for informal consultation between July 2012 and October 2012. These indicators replace the previous set of SDIs that were published in July 2010. These indicators have been published as provisional SDIs for 2012, with the feedback from the consultation informing the indicator set from 2013 onwards. By publishing the SDIs as a provisional set the UK will be able to: align this work with the Office for National Statistics National Wellbeing Measures; reflect on both the responses to this consultation; and actions emerging from the Rio+20, United Nations Conference on Sustainable Development before publishing an update in 2013. The SDIs are used to look at economic, societal and environmental issues together - whilst individual indicators are likely to cover only one of these, the essence of the set of indicators is that different indicators can be examined together. The intention is that the proposed SDIs will provide, for Ministers across Government, Parliament and the public, high level transparent measures of whether the UK is developing on a sustainable path. The SDIs should also support our evidence base for policy development across Government. The devolved governments have their own arrangements in place on sustainable development, including the publication of indicators. The Northern Ireland Executive is committed, in its Sustainable Development Implementation Plan, to developing indicators to monitor progress against its Strategic Objectives that complement existing national and international monitoring and reporting frameworks. These indicators will form an integral part of the strategic level reporting framework on sustainability of the Northern Ireland Government. The Scotland Performs web page provides up to date information on the Government's purpose targets and national outcomes and indicators covering a range of key social, economic, environmental and wellbeing indicators for Scotland. A summary of all Targets and Indicators is given in Performance at a Glance. Wales has 44 SDIs covering 29 key issues. Of these, five are headline indicators, that measure activity in fields of the economy, society, environment, resource use and wellbeing. The indicators are reported on an annual basis, ‘Sustainable Development Indicators for Wales’, with the latest version published on 29 August 2012. A consultation on the current set of SDIs is planned for Autumn 2012. Since November 2011 all Government Departments’ Business Plans have been published on the “Transparency” section of the Prime Minister’s website so that anyone can check how every government department is performing in delivering on the priorities set out in its business plan. You can search by department and by month to check performance against each of the departments' priorities. From 2011/12, all UK government departments have been required to report on their embedding of sustainable development in their annual report and accounts, published and laid before Parliament before the summer recess. This is a new requirement for all departments and is an important part of the move to increase transparency and accountability. For more detail on the reporting requirements for government departments on sustainable development, see: Annual Report and Accounts: UK Government departments’ mandatory requirements. We update our stakeholders with news of our progress through “SD Scene”, the Government’s Sustainable Development news website monthly e-newsletter, which is sent to over 8,000 subscribers each month. SD Scene reports news and events from across the wider sustainable development community, including news from government of our successes and the challenges we face in delivering our vision of mainstreaming sustainable development across government. It has interactive elements – including user comments, the SD Scene Twitter feed and online surveys – enabling SD Scene to serve as our main stakeholder engagement tool, which is complemented by meetings and direct engagement. Stakeholder engagement is crucial to the effective mainstreaming of sustainable development across government. An example of effective engagement was the invitation, announced through SD Scene in September 2011, for stakeholders to comment on the new SDIs – 242 stakeholders responded. Stakeholders were also invited to put themselves forward for stakeholder engagement in a survey in SD Scene in December 2011. We have also held a series of small focussed stakeholder events to access expertise to help inform the development of mainstreaming sustainable development policy. The Environmental Audit Committee (EAC) considers the extent to which the policies and programmes of government departments and non-departmental public bodies contribute to environmental protection and sustainable development, and it audits their performance against any sustainable development and environmental protection targets. The Committee’s remit cuts across government rather than focuses on the work of a particular department. The EAC therefore has a very important role to play in scrutinising and holding the Government to account on its sustainable development mainstreaming policies and approach. The EAC has undertaken two inquiries during the current Parliament (which began on May 2010) in October 2010 and July 2012 into this area of policy and invited Government Ministers to give oral evidence in front of it. To date, the EAC has also contributed two articles in December 2011 and August 2012 to SD Scene outlining its remit, how it works, and its scrutiny of the Government’s progress on sustainable development and environmental policy. In order to support external scrutiny, The Government is also committed to being open and transparent with more of our sustainable operations and procurement performance data, so that the public and Parliament can hold us to account. The Northern Ireland Executive has entitled its Sustainable Development Strategy ‘Everyone’s Involved’ to reflect the participatory and collaborative ethos that characterises the approach to the delivery of sustainable development here. The Implementation Plan for the Sustainable Development Strategy was developed through a collaborative process involving a wide range of organisations within and beyond Government. The Plan contains commitments to action by all Government Departments, by a range of other public sector organisations, and by organisations in the private and voluntary sectors. Provision has been made for mechanisms to support action by, and communication between, organisations and individuals committed to sustainability across all sectors of society. The Sustainable Development Scheme for Wales sets out the Welsh Government’s vision of a sustainable Wales, and describes how this vision will be realised through our delivery approach. The Welsh Government is engaging with individuals and organisations in Wales in changing their behaviours to help us meet the targets set out in the Sustainable Development Scheme, and those in the Climate Change Strategy, through a comprehensive programme of work to encourage more sustainable behaviours at the individual, community and organisational level. The Welsh Government established the Sustainable Development Charter in 2010 following its own commitment to making sustainable development the central organising principle. The Charter is our principle tool to promote sustainable development with our partners across Wales. Membership of the Sustainable Development Charter commits organisations and businesses operating in Wales to embedding sustainable development at the heart of their decision making. Signatory organisations are encouraged to make decisions that will bring long-term benefits to the people, environment and economy of Wales. The exchange of ideas and networking across sectors is possibly the most valuable aspect of the network. This exchange is critical to further organisations’ understanding, expertise and confidence to deliver on sustainable development. 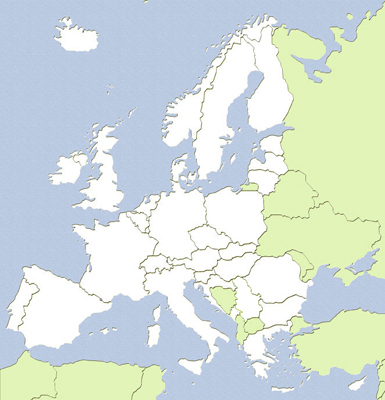 For a detailed documentation of all advisory and participatory councils (for SD and/or the environment) in this country, please go to the EEAC website at http://www.eeac.eu/councils/united-kingdom	and click on one of the listed institutions.